In this month’s Employee Spotlight, we introduce you to Hitesh, an IT Operations Specialist of the IT team and a recreational cricketer. I received two degrees from Indian universities, a bachelor’s in Advanced Accounting and Auditing and another bachelor’s degree in Computer Science. I also completed CGA level 4 after I moved to Canada because I was very interested in forensic accounting. However, I saw better opportunities in IT Infrastructure and Enterprise IT Administration careers. Since I had the required skill set, it was easy for me to decide to pursue a career in IT operations. I am glad I chose this career path as I am enjoying a lot. What is your role at Angus Systems and what are your main responsibilities? I primarily help manage our corporate network, which spans across multiple sites and network subnets. Being a senior team member I also enjoy having multiple roles and responsibilities including helping with network infrastructure design, choosing server hardware and software technology, enterprise security, and mentoring junior group members. I focus more on the server side. I look at the server security and review any kind of major production-related issues. How have your responsibilities expanded since you started working with the company? 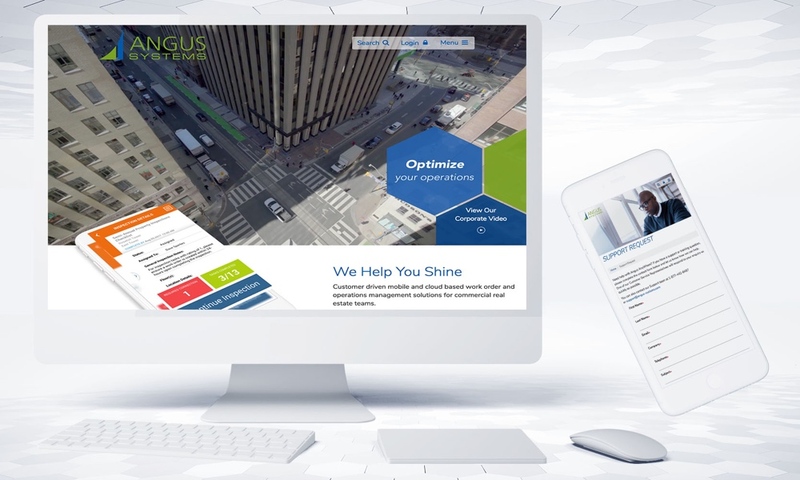 I joined the IT Operations team at Angus Systems in 2006, and I have witnessed tremendous business growth. When I started I learned about the server technologies that we used at here, and noticed that there was a lot of room for improvement, so I took the initiative to design the networks from scratch keeping our security needs in mind to create a highly reliable and robust network infrastructure. What do you like most about working at Angus Systems? I also like working at Angus Systems because we have freedom to choose, learn, and explore new technologies to improve our systems. We have a great team of people here, everyone is so energetic and friendly across the departments. The work environment and our corporate culture is exceptional and really hard to find elsewhere. What are some of the things you’ve learned while working here? It’s a continuous process as there are a lot of new technologies that come in, so it’s very important that I keep up with all the new developments. In the last 10 years I’ve received 11 major certificates in IT just to keep up, otherwise I’d lose the competitive edge. We have great teamwork and collaboration efforts here and I have learned a lot from it since I started working at Angus. Because the technology changes all the time, this great balance of learning and implementing the knowledge to work has given me immense job satisfaction. I still find that I am learning something new every day while discussing technology or reading online as well as keeping my skill set updated by pursuing IT certifications in my free time. Is there some contribution that you’re proud of? I helped design and implement multiple networks connected across various physical sites, Corporate Mail, DNS, DFS, Web and Database Servers, VPN, and various other technical initiatives. I successfully convinced our management to choose alternate technologies for our highly successful Property Websites product, and I am proud in being a key member in managing and expanding our infrastructure. Server security, user data, and privacy is extremely important to me, and over time I have developed the habit of looking at things through security lenses. I am proud of this habit as it has helped me prevent many security incidents that could have been very costly. I’ve been a vegetarian my whole life. If you weren’t working at Angus Systems, what would you be doing? I would have started my own IT consulting firm, because I have realized that I can’t live without the geeky stuff. Working with different technologies, overcoming technical challenges, and making things work gives me immense satisfaction. Besides reading technical articles and current topics on the Internet, I love travelling, playing cricket, and practising yoga. I also love reading a lot about India’s ancient Vedic history and culture.